I has a question, what's your favorite toy? I am not ashamed to admit, it is my pink Ugg. What do you do when you get bored? Do you effur do bad stuffs? Once me and my brother Gizmo distroyed a down comforter while our dad was sleeping!! Mom thought it snowed in our room!! Well, believe it or not.....I never did anything bad...but my assistant, Little Lily!!! We would love to test your plan for getting under the covers, but how do we convince the humans to let us in the bed? 2. always give the sad and pathetic "feel sorry for me" look.. Isn't it a Fact that Milkbones are one of the MAJOR REQUIRED FOOD GROUPS??? Post a question .. Ba Da Bing says tootles! Great Q and A post! You are so creative!! PeeEss: Is it your birthday or do you just like the hat and glasses?? If its your b-day we wish you a VERY Happy One with lots of treats. Reading this post is the most fun part of my week! Thank you!! Zipper pulls?! I'm going to have to try to eat one of those next. Ha ha ha! Love it! Well done! OMD! 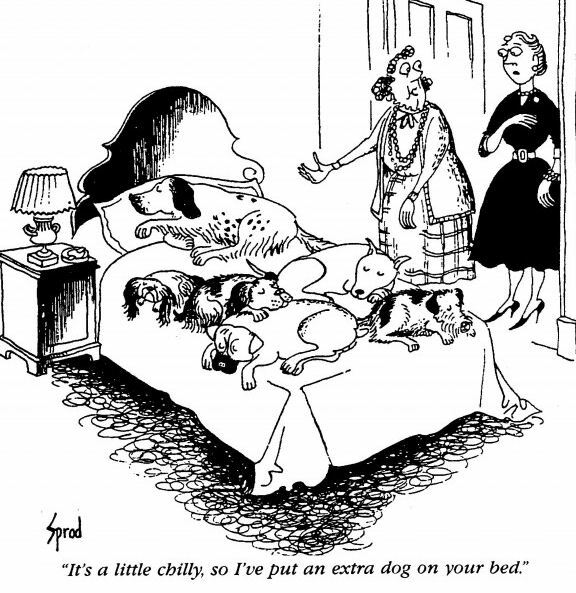 That cartoon is hilarious! We're framing it :) Glad to see that Milkbones are, indeed, at the top of the food pyramid - just like we thought! That Ellen lady is a funny dancer, but it's okay - she loves dogs! Taz says he loves pink, too - his favorite is a pink bone. He's not ashamed of it either! Thanks for more Q&A FUN! You are so funny! Maybe some laps around the house will help, but hey, I do think it is all muscle - and NOT table muscle either. Always a smile when stopping here! You've started our day (Wednesday) with a few chuckles....thanks. One of my favorite quilts to lay on is pink - so don't let anybuddy give you a hard time about your pink Ugg. Such great advice, dawg!! 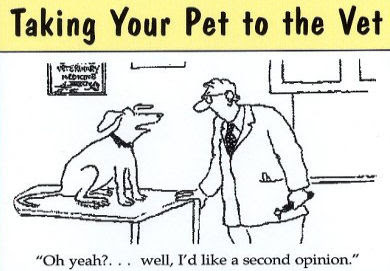 You're better than that Dear Abby person even!!! now then... next question.... How soon should we start being worried about SANTA PAWS.. watchin us??? I don't want Ernie OR ME to get Squirrel Poops in our Stocking. Do you and Lily ever really get into a BIG ole giant fight? and who wins? watching Ellen dance is the cure for whatever ails you! Ben, buddy......them spectacles sure make ya look smart but I dunno 'bout that pink Ugg! Teehee!!! Zipper pulls! Oh my goodness! 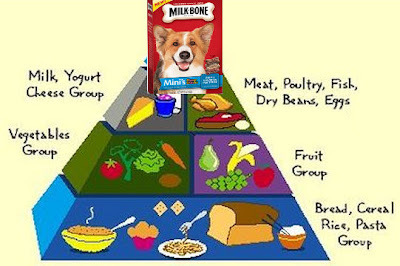 I am so relieved to see Milkbones on the top of that food pyramid! As always, full of good ideas! If you ask me, cheese and PB are right up there with the Milk Bones (preferably all together). Zipper pulls, huh? I hope she doesn't EAT them!! Your little pink Ugg toy is so cute! Great Q & A post. http://www.silvieon4.com/2011/11/benny-lily-did-you-see-this.html hey guys did you see this? We would like to eat your pink Ugg. So silly!